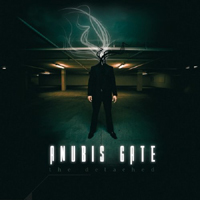 It is time for Anubis Gate to show where the band stands now, and after three albums raging from mediocre to very good, they have once more taken a step forward. If you liked their 2007 album 'Andromeda Unchained' then you will immediately recognize the style, just a tad better in every aspect of the game. Guitarist Kim Olesen has written the majority of the songs, most of them together with his axe-partner Jesper M. Jensen. 'The Detached' is a concept album based on a story by Martin Rauff, put to words by bass player Henrik Fevre, telling the story about Bilao, who belongs to a special kind of humans called The Detached. World acclaimed producer Jacob Hansen is as you might know the vocalist in Anubis Gate, and he puts his stamp firmly on this album with his high-pitched voice, and his contribution both as a producer and vocalist is taking this album to a higher level. The production is powerful, clear and well balanced giving the powerful and well constructed songs just the right amount of everything. Don't get turned off by the awful artwork because behind the ugly surface lies one the best progressive (power) metal albums in some time, an album with the depths and intensity to withhold most attacks, and do take notice because Anubis Gate has made huge strides forward this time, and made an awesome album. Still not convinced? Then I suggest you put on track 10: "Options - Going Nowhere", a song that captures the essence of Anubis Gate to perfection. A brilliant song that allows everyone to shine, just listen to the awesome bass-lines towards the end of the song.